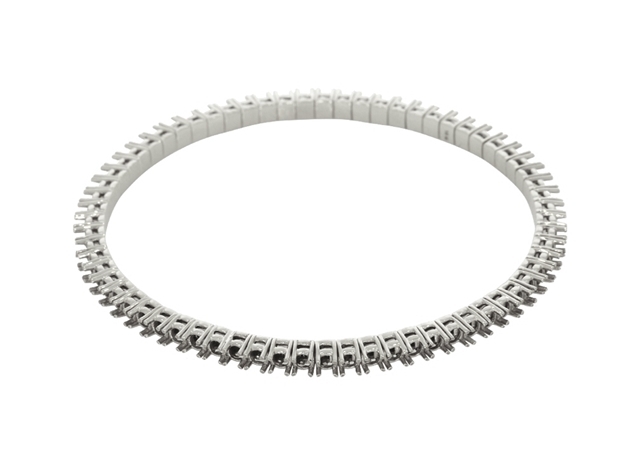 Diamond tennis bracelets are bracelets that have small diamonds or other gems strung in symmetrical,continuous links,along a narrow, flexible chain. 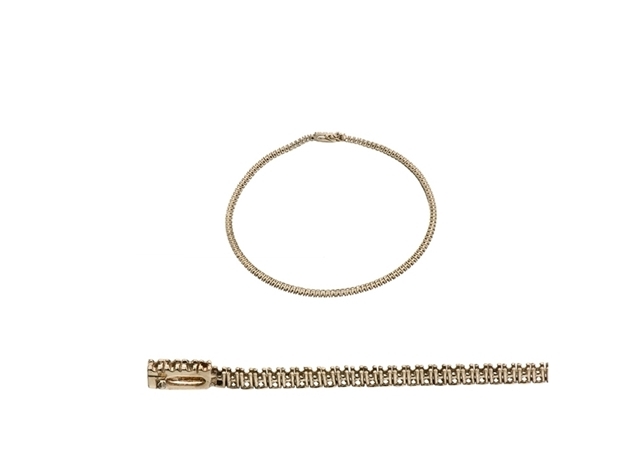 The absence of any other ornaments or add-ons creates the signature look of tennis bracelets. 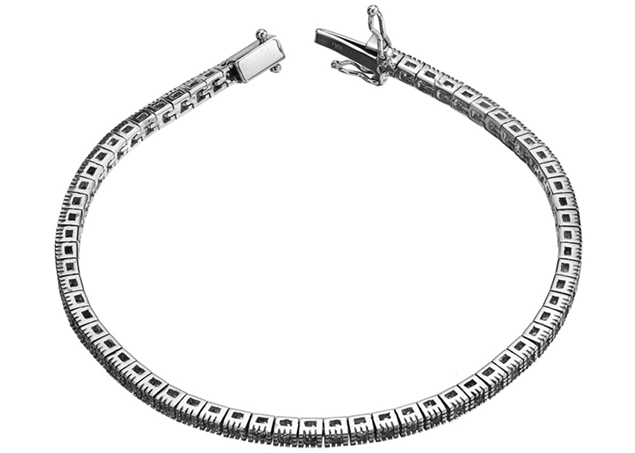 Originally called eternity bracelets, tennis bracelets became best selling items in 1987. 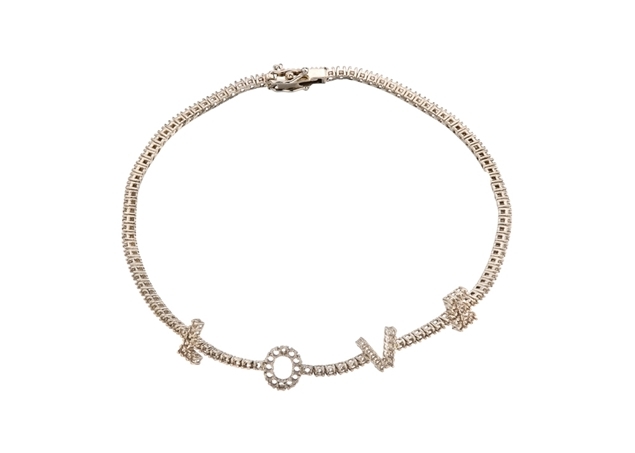 Chris Evert, the former number one woman tennis player in the world and the winner of 18 Grand Slam singles titles, wore a diamond bracelet while playing in the U.S. Open that year. 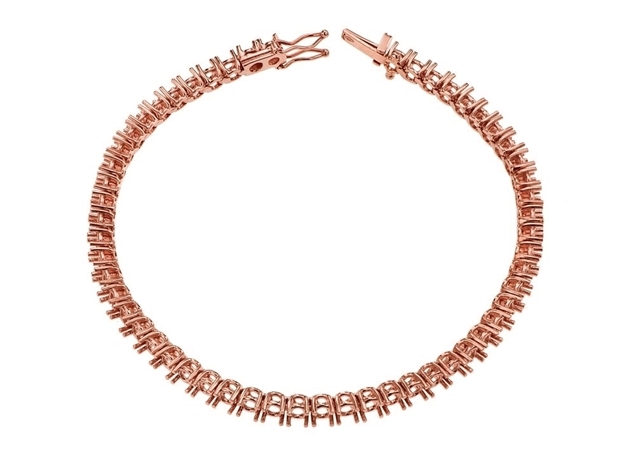 During the match, her bracelet broke and the match was interrupted so that Evert could recover her diamonds. 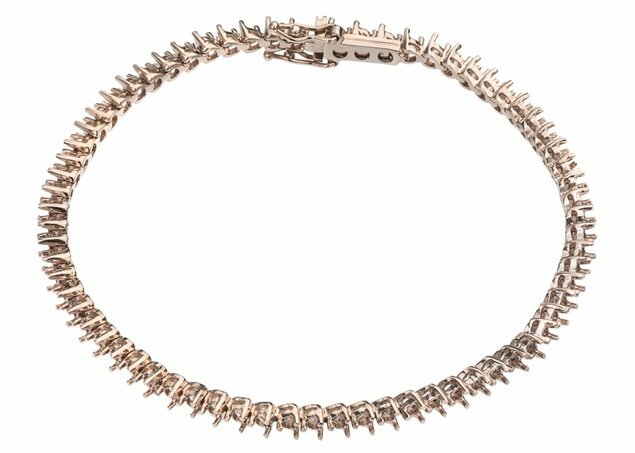 The "tennis bracelet" incident created a new name for the bracelet and ignited a major jewelry trend. 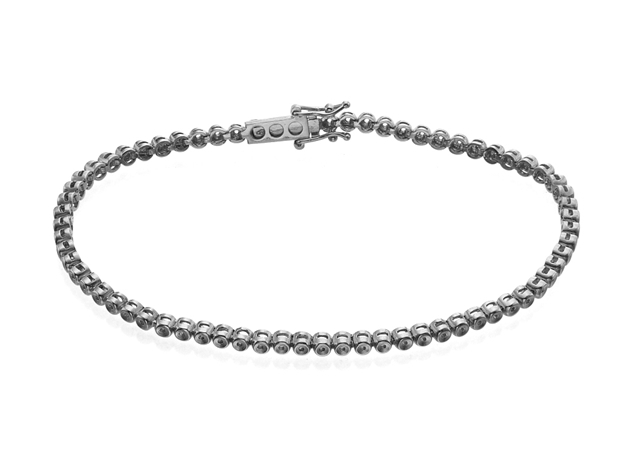 Ever since the U.S. Open of 1987, tennis bracelets have become the ultimate status symbol. 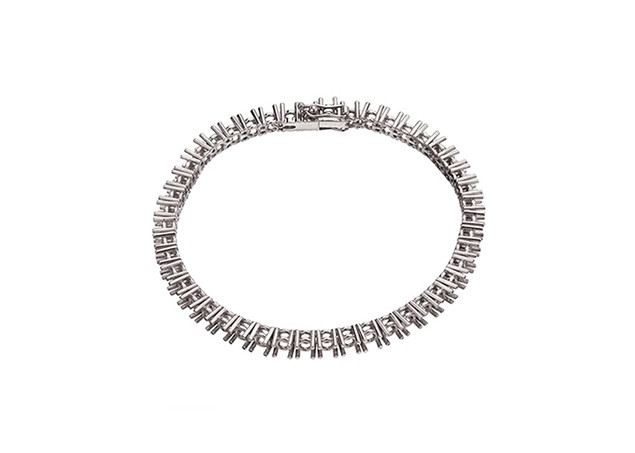 Classy and timeless, tennis bracelets are the unequivocal choice of gift for special occasions. 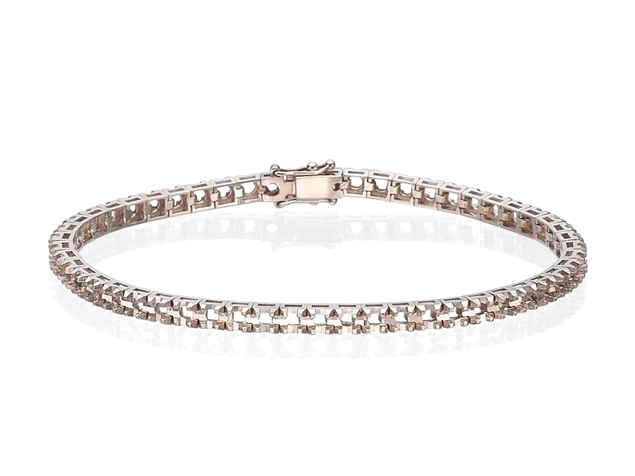 Pasternak's tennis bracelets mountings are available for both round and princess-cut diamonds in 14K and 18K white gold, without a rhodium finish. 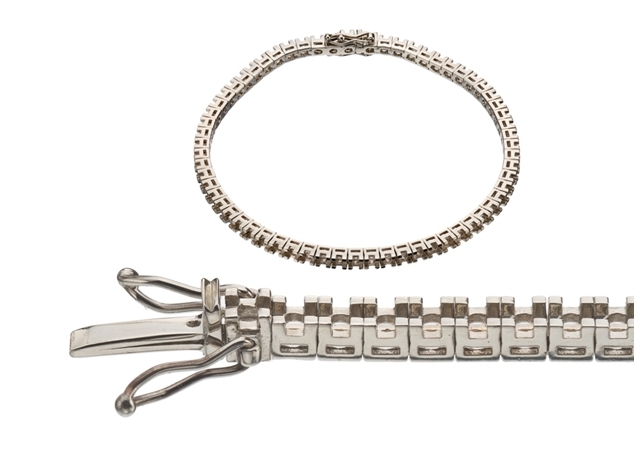 The bracelets are available in the following sizes: 0.5pt, 1pt, 3pt, 5pt, 10pt, 15pt, 20pt, and 25pt. 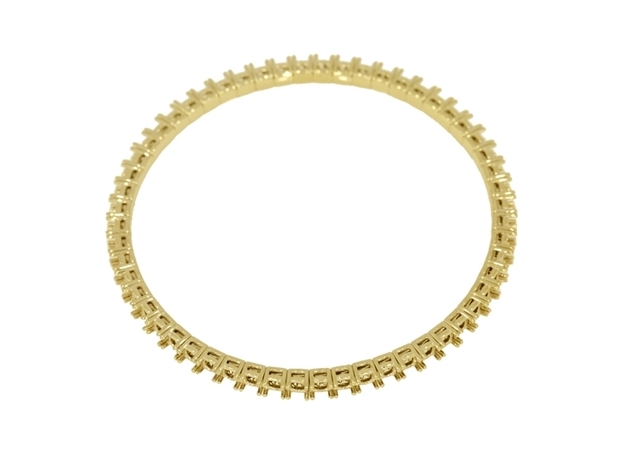  Also make sure to check out Pasternak’s Please gold ring mountings and gold earrings mountings!